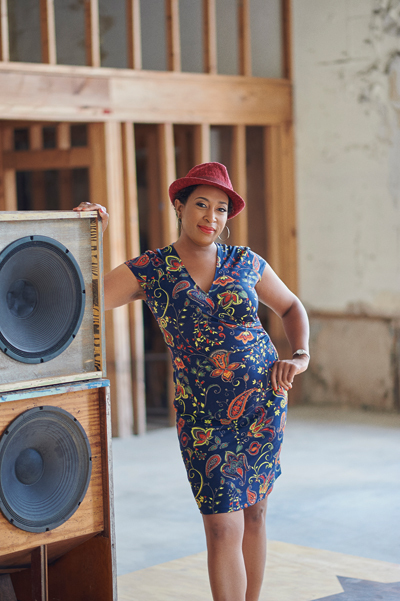 Melissa Weber, known more commonly as DJ Soul Sister, has provided the soundtrack to all-night dance parties in New Orleans for over a decade. You likely have encountered the “Queen of Rare Groove” on WWOZ, where she hosts her long-running “Soul Power,” or her famous HUSTLE parties, which moved from its longtime home at Mimi’s in the Marigny to the Hi-Ho Lounge amid a noise ordinance controversy in 2013. For the 12th year, she hosts a “Soul Train”-themed New Year’s party at One Eyed Jacks. Weber talked to us about the party and gave us playlist advice. Describe what your New Year’s Eve party is usually like. I like to think that my New Year’s Eve shows are very similar to my other parties that I throw because the music is soulful, and there are people from all walks of life who want to dance and enjoy, and most importantly, have fun. I call it “a right on party situation.” I’m always aiming for positive energy on the dance floor with positive and fun music. What are some of your favorite New Year’s Eve songs to play? I don’t have special New Year’s Eve songs, per se, but my New Year’s Eve party theme has been “Soul Train” for the past 11 years. I specialize in soulful music from the 1970s through mid ’80s – that’s all I play and that’s all I want to play. So with the “Soul Train” theme, I may play more familiar funk, disco and R&B classics from that time period than I’d normally play in one of my regular rare groove-type sets with the obscure rarities and things. Classics would be, like, Michael Jackson and Marvin Gaye. Rare groove is just that – soulful stuff that you may have never heard before, but it also got played on “Soul Train,” artists like Mandrill, Goodie and Instant Funk. But honestly, I never know what I’m gonna play until I decide to pull it out of my record crate to play it. Do you like to stay current with new music? What were some of your favorite albums/artists from 2014? I stay current with the music I love best, and that’s mostly music from the 1970s through mid ’80s. Rare groove is about finding those millions of records that you’ve never heard because they never made it a Billboard chart. So, while the music that I search on vinyl around the world isn’t newly recorded, it’s still new to me, because I may have just discovered it and I’ve never heard of it before. And then I wanna share it with others. That’s where my DJ life comes in. With that said, my favorite music recorded or released around this year is gonna come from modern jazz – artists like Ambrose Akinmusire, Cécile McLorin Salvant, Christian McBride and many others. What’s your advice for someone creating a playlist for a party? Play what you love. It’s your party. If you’re not happy, everyone else will be miserable. A happy party is the best party.